Electron beam evaporation is a method of thin film deposition involving the use of an electron beam source, or electron beam gun (EB gun). Both names arc commonly used, but the actual device consists of a heated cathode emitting a high flux of electrons which are accelerated by high voltage and focussed into a water cooled hearth by a magnetic system. The material to be evaporated (the evaporant) is placed in a crucible within the hearth where it is heated to vaporization which then deposits on the substrate to form the required thin film. The electron beam evaporation technique enables very high temperatures to be obtained, allowing fast deposition rates and a wide range of materials to be evaporated. The technique is controllable, repeatable and compatible with the use of an ion source to enhance the resultant thin film performance characteristics. 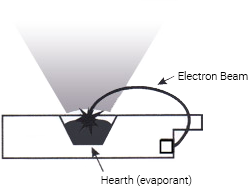 The evaporant may need to be "conditioned" prior to actually depositing the required thin film. A shutter is placed above the crucible and kept in a closed position whilst the evaporant is conditioned, degassed and monitored for any spitting characteristics prior to starting the actual thin film deposition run. The amount of conditioning required will be dependant on the type of material, its quality and method of manufacture. Using only high quality thin film materials will assist with reducing the conditioning process to the minimum and the deposition of higher yields of successful thin films. Specific grades of high purity materials for use in electron beam sources can be recommended. Testboume provides electron beam source crucibles and formed evaporant material cones which fit directly into the electron beam source crucible. 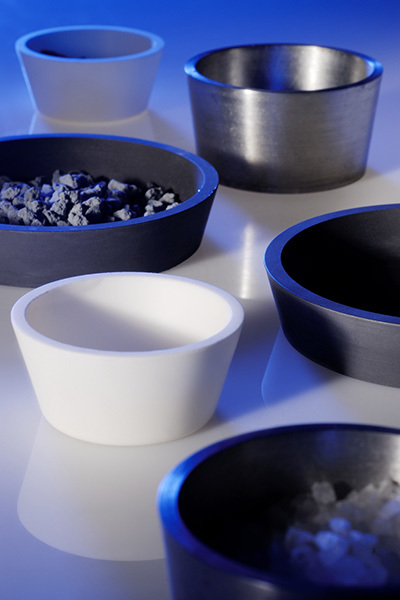 Both the crucibles and cones are available in a variety of materials. Please use this Crucible Selection Table to choose required crucibles for specific materials. Whilst great care has been taken to ensure that the information contained in this table is accurate, results may vary with your specific application. 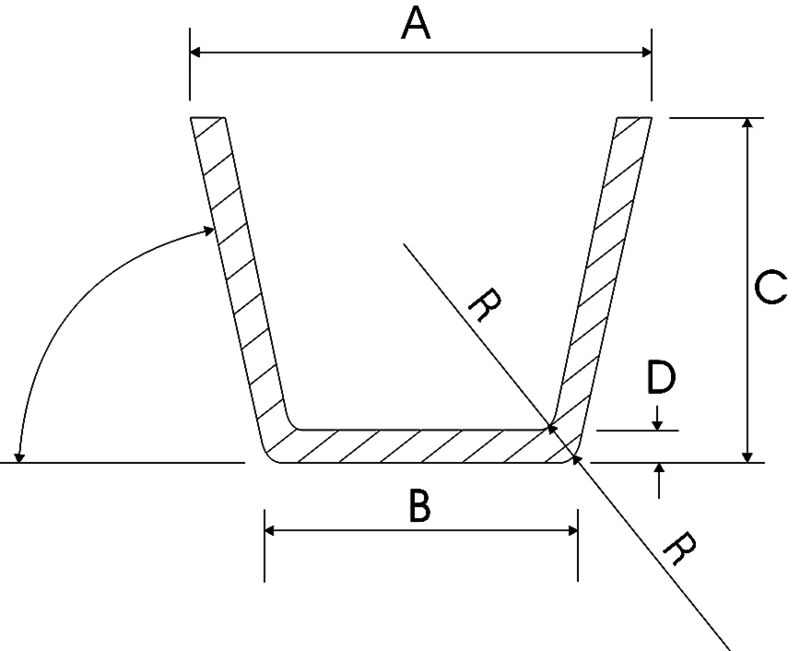 Please visit individual material pages for more comprehensive information on evaporation techniques and material peculiarities. Most of our crucibles are produced to order, please mark clearly height, bottom diameter, top diameter, wall thickness and any special requirements i.e. lips etc. To speed up quotations please supply a drawing and if appropriate, the name of the system in which they are to be used. Here are some standard crucibles available to purchase. Alumina, Molybdenum, Boron Nitride, Tantalum, Tungsten and Intermetallics. Whilst great care has been taken to ensure that the information contained in this table is accurate, results may vary with your specific application. Please visit individual material pages for more comprehensive information on evaporation techniques and material peculiarities.